Hang our battle flags on the outer walls. Everyone’s screaming “The enemy’s coming!”, but our castle’s more than strong enough to withstand a siege. They can camp there until they die of hunger and disease. If they had not been reinforced with the soldiers who deserted me, I could have met them face to face and sent them packing back to England. It’s women crying, my good lord. I’ve almost forgotten what fear feels like. There was a time when my blood would turn cold from a scream in the night, and my hair would stand on end from a frightening story. But now, I’ve seen my fill of horrors, and atrocities similar to my own murderous thoughts don’t phase me. As life were in't. I have supped full with horrors. She should have died in the future. There was a time when the “future” meant something. But now, day after day drags along to the end of time, serving no purpose but to show the way for us fools to our dusty death. Snuff out our brief lives, which last no longer than candles! We are nothing more than moving shadows, bad actors who strut and rage for an hour on the stage and then are never heard from again. Life is nothing but a tale told by an idiot that’s full of sounds and passion but means nothing. You’ve come to make a report, let me have it. 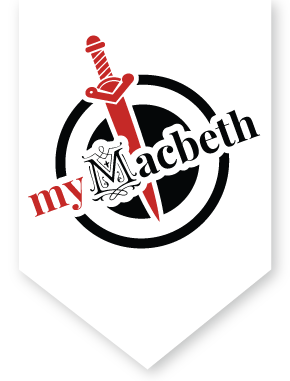 In this pivotal speech, Macbeth uses theater imagery to metaphorically compare life to a play on stage. To put his words another way, life is like a story told by some insignificant actor, who rants and rages on the stage for an hour, then never to be heard from again—a story, seemingly full of passion and action, that ultimately is meaningless. My gracious lord, I should tell you exactly what I saw, but I don’t know how to do it. I was standing watch on the hill, and when I looked toward Birnam Wood, I thought I saw the forest start to move. Punish me if it isn’t true! It’s less than three miles away, you can see the moving forest coming. Let me endure your wrath, if't be not so. Within this three mile, may you see it coming. If you’re lying, I’ll hang you from the nearest tree until you die of hunger. If you’re telling the truth, I don’t care if you do the same to me. I’m losing my confidence and beginning to doubt the double-talking of those devils whose lies sounded like truth. “Don’t be afraid, until Birnam forest comes to Dunsinane.” – yet now a forest comes towards Dunsinane! Get your weapons and let’s go out to fight! If what he says is true, there won’t be any escape or waiting it out here. I’m getting weary with life and wish all this could just be undone. Ring the alarm bell! Blow, wind. Come, ruin! At least I’ll go down fighting. Ring the alarum-bell. Blow, wind; come, wrack.